Early last week, the internet witnessed an amazing shock when reports calls into question whether Travis Scott is the biological father of 19 year old Kylie Jenner's baby Stormi. In Touch Weekly is claiming that Travis is asking for a paternity test. 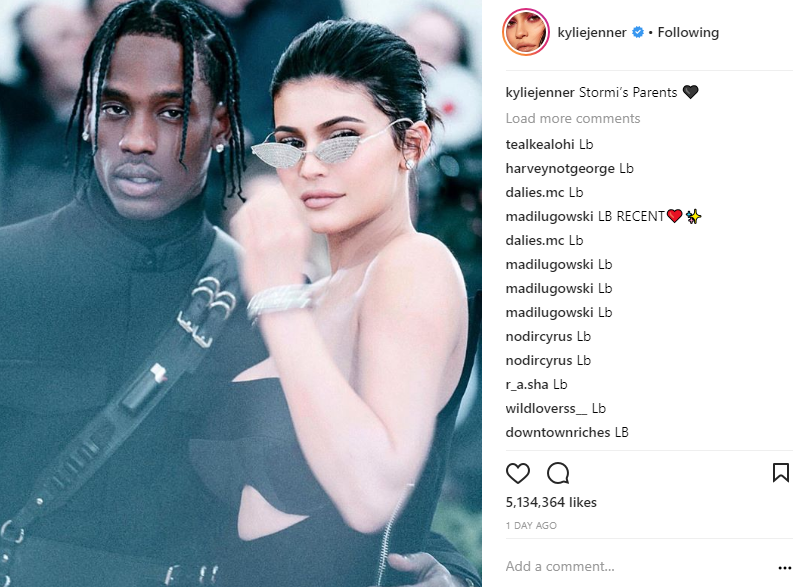 Well we just got words that Kylie Jenner is fed up with the constant rumours surrounding the paternity of her baby,Stormi and she has decided to speak up. Posting a lovely photo with Travis Scott on her Instagram page. she captioned it ‘Stormi’s Parets’. I guess that’s all we need to know for now as to who Stormi, Kylie Jenner baby father is.